If you’re working in the beauty industry, you should think about protecting your business. Find out all about the different covers available when you take out beauty therapist insurance. More than half of the UK’s beauty industries are made up of the self-employed, according to the National Hairdressing Federation. If you make up part of that statistic, an insurance policy is something you should consider. Beauty therapist insurance – Why do I need it? Your clients come to you because they trust you to make them look their best. And any business that comes into such close contact with clients should think about taking out insurance. In the beauty industry, accidents can happen. You’ll be working with equipment that gets hot, is sharp, and can cause staining. For example, if a client got makeup in their eye or suffered an allergic reaction as a result of a product you’ve used, you could well face a compensation claim. Not only that, but the tools you’re using can be expensive, and might not easily be replaced. A beauty therapist insurance policy can cover these risks and more. We’ll explain some of the key covers below. Public liability insurance is an important cover for many businesses that come into contact with third parties – whether that’s customers, suppliers, or passersby. In short, it covers you if a member of the public suffers a loss or injury because of your business. So, if a person suffered an allergic reaction and brought a compensation claim against you, your insurance could cover the legal costs and the compensation payment. And compensation claims can be costly – sometimes running into the millions of pounds. Most insurers offer between between £1m and £10m of public liability cover. When choosing how much cover you need, think about the scale of the work you do and the size of the claim that might be brought against you if something went wrong. Beauty insurance – What else can it cover? If your business has any staff, it’s likely that you’ll be legally required to have employers’ liability. Employers’ liability insurance can protect you if an employee becomes ill or injured as a result of your business. Imagine an employee slips over in your shop and brings a compensation claim against you – having this cover in place could mean you’re protected. Keep in mind that if you’re legally required to have employers’ liability cover, you could face a fine of up to £2,500 for every day you’re found to be uninsured. If you run your beauty business from a shop, you might want to consider business buildings cover. Buildings insurance usually covers fixtures and fittings too, and you can also add business contents insurance as part of your policy. If you rent your business premises, remember to check with your landlord to find out what’s covered already. You rely on your equipment to get the job done every day, and specialised beauty equipment can be expensive. Having cover in place to protect your equipment gives you the peace of mind that if it’s damaged or stolen, you can replace it quickly and get on with the job in hand. From colours and bleaches, to straighteners and hair products, this can cover any stock left on your business premises. If your stock is stolen or destroyed, you need to ask yourself what the damage could be and whether you could afford to replace it. 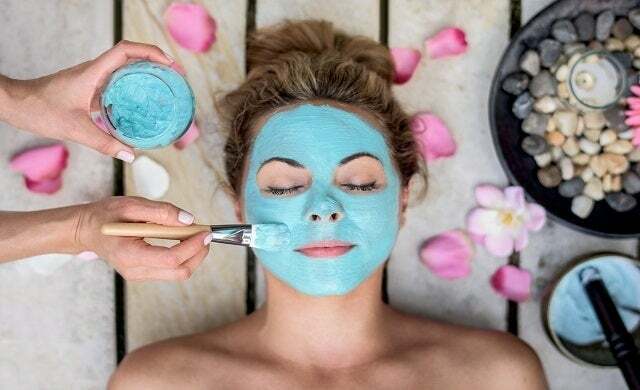 There are a number of places you can get self employed beauty therapist insurance, and you’ll want to compare quotes from a few places before deciding where to buy. Online broker Simply Business lets you compare quotes from a large number of insurers, without having to fill in multiple forms. They’re specialists in small business insurance, with over 425,000 customers in the UK. Just get your details ready, fill in their simple form, and you could get your quotes online in minutes.